Network Appliance - AskMe deployed on a Hivemine-provided physical or virtual appliance behind a firewall. Public Cloud - AskMe as a SaaS (software-as-a-service) solution via Hivemine's public Cloud provider partner Skytap. This is an ideal option for mid-sized companies, business units within large organizations, and enterprises wanting to start small and scale their AskMe deployment as their user base grows. Private Cloud - AskMe deployed as a multi-tenant SaaS solution within an enterprise's private Cloud for IT organizations wanting to offer AskMe as an internal service. 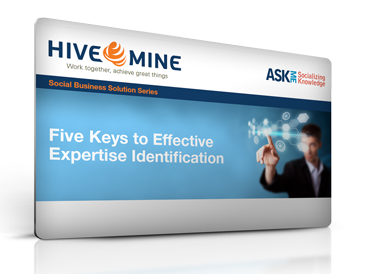 Customer Owned Equipment - AskMe deployed on a physical or virtual server provided by the customer per Hivemine's specifications.